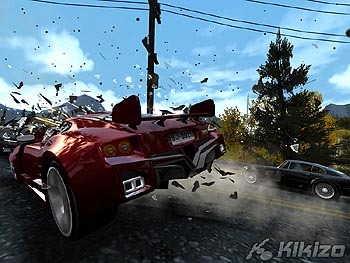 We talk to Senior Producer and EA veteran Nick Channon about the superlative new Burnout title. Kikizo: Do you still have a nice emphasis on shortcuts in these levels? Nick: Yes, and we've actually signalled the shortcuts this year so now you can actually do a Takedown into the entrance of a shortcut to dislodge the barriers and then that becomes open to you. 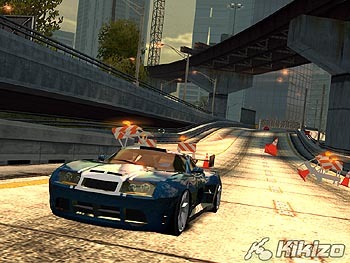 Kikizo: Are you doing anything in terms of online play, or interoperability between the PS2 and PSP versions? 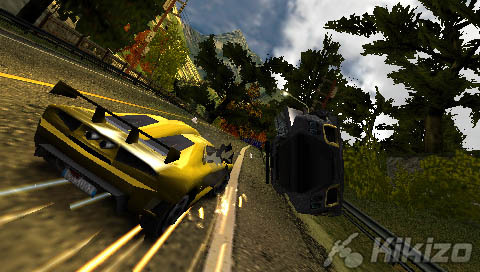 Nick: We don't have online play on PS2, we've just gone with split screen. 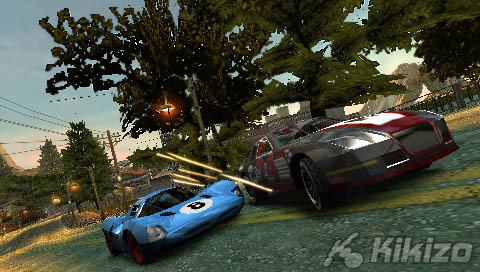 We have full ad-hoc play on PSP, with up to six players on race, Road Rage and Maniac. In terms of connection between the two, we don't have that this year. But on PSP we allow you to upload your high scores to a central website so you can compare them to people around the world, and we can also exchange scores locally with players through wireless. We also have downloadable content coming - two tracks, post-release, that will be unique on PSP and they'll be available for free. Just download them from the website onto the Memory Stick. Kikizo: How aggressive is the opposition in the game now that we have Burnouts back? 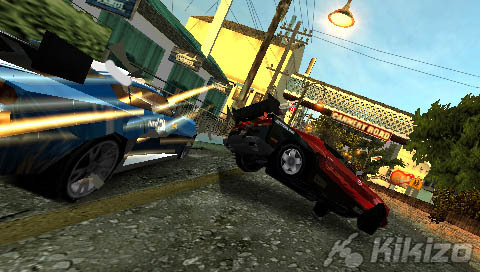 Nick: It's classic Burnout rules - you attack them, they come back at you! 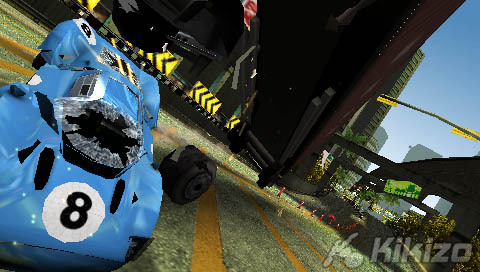 We've also added in a way that you unlock the cars, we've added challenges in there. 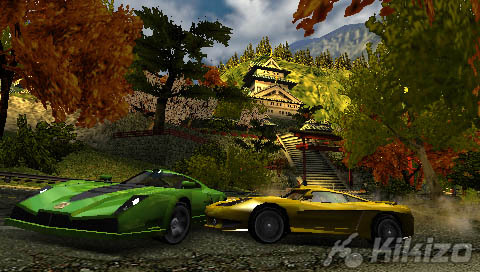 You don't just unlock cars for winning a race or an event, you have to do something within a specific event to win a car, so there's challenge there in that sense as well. If you're in a race, you don't win a car for coming first, you win a car for getting through 3,000 feet of drift in that race - so there's challenge in these side events. 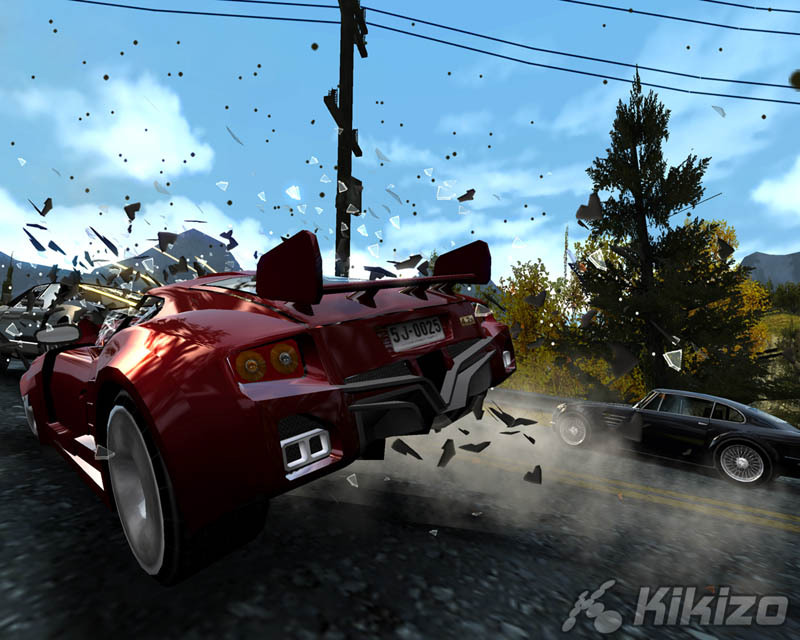 Kikizo: In terms of the music in the game, is it your best soundtrack to date? Nick: I think it's great - it's very varied, quite different - we have new and old. The nice thing is it's quite varied and you can choose which genre you like. 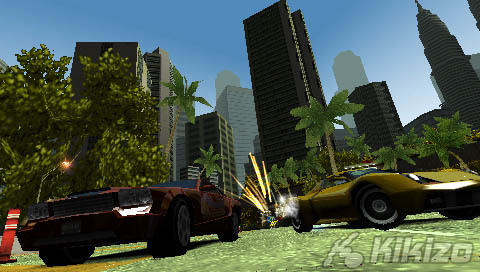 Kikizo: The PS2 version is 60fps the same as it always have been, including split screen, have you managed to get that same smoothness on the PSP version? 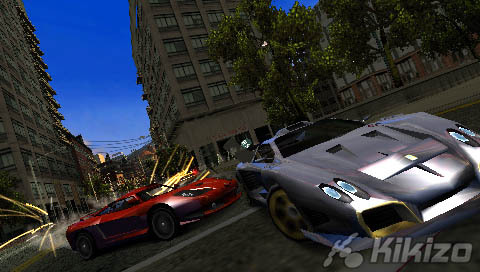 Nick: Well I think you have to play it and see it [we did - it's not] - it feels incredibly fast and just as fast as the PS2, and at that point I think the frame rate is less relevant, it's giving that sensation of speed, which we absolutely do on PSP. We're really pleased with the way the PSP game has gone - we wanted to push the bar a bit from Legends. Visually, it's looking stunning, and we've put a hell of a lot of time into tuning the handling specifically for the PSP version. Every part is tuned just for the PSP. With the more skill-based modes, we have to do that, and the results speak for themselves. At times, Legends felt a little bit clunky - you couldn't control the drifts all the time, and we've managed to put that right, and it feels amazing on the small screen. Kikizo: Do you recommend the d-pad or the analogue control? Nick: I play with the d-pad personally. The game on PSP is a lot more responsive than overall Legends though. 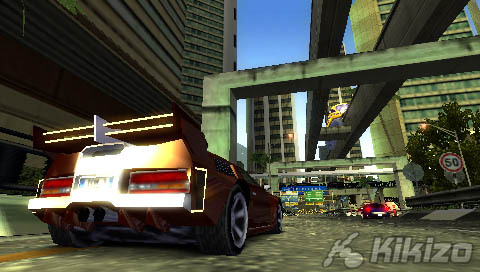 Kikizo: Because some racing developers see 60fps as an optional thing and a trade-off with detail, which annoys some gamers in a genre that's about speed and fluidity - but here [on PS2] we have both, don't we? Nick: Yes. 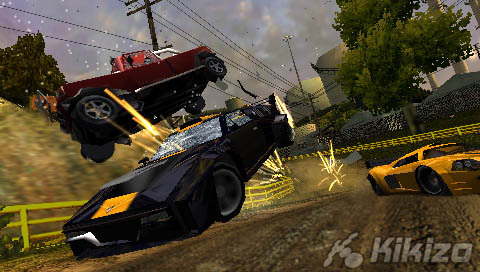 That's the thing with Burnout is we've managed to do that each year on PS2. And I think that comes with experience, and experience on the platform, and knowing the technology that we've developed throughout the iterations. 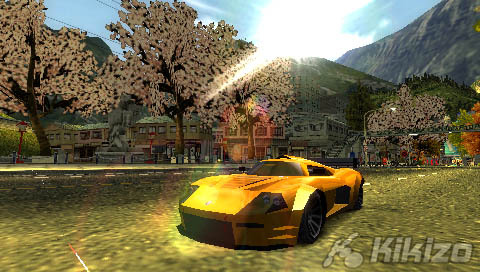 It's really important with any Burnout game that you get the tracks right to enhance the sensation of speed - it's not just about 60, it's about 60 and lots of things rushing past you and lots of parallax in the world, that's important too. Kikizo: Do you think your familiarity with Renderware is part of the reason for getting this technical quality? Nick: I think, partly. But it's really because we've been working on the technology base that we've been developing over the last five iterations - the most important thing. It's about learning your machine, and evolving your technology. That's the most important thing. And it's the same now with PSP - huge step forward from the previous games, because we know the machine now, and we're developing our technology on that platform. Kikizo: Thanks again for your time Nick - it looks awesome. Click here for Kikizo's interview archive.